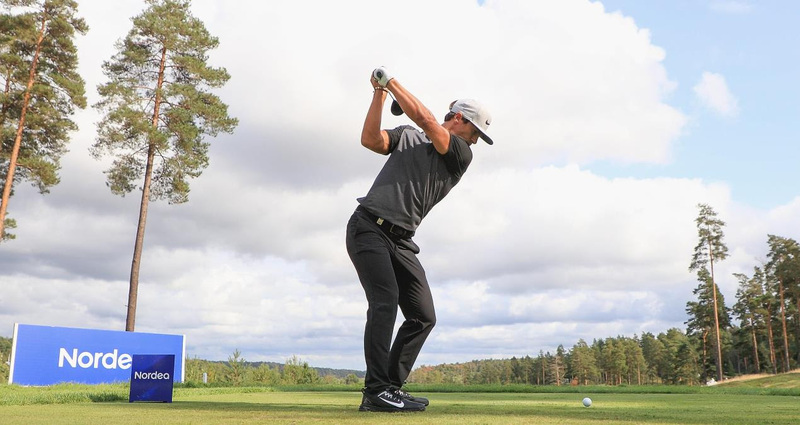 Ryder Cup hopeful Thorbjorn Olesen has been reunited with not one but his two sets of missing golf clubs ahead of this week’s all-important appearance in the Nordea Masters. Olesen went onto social media to blast British Airways in misplacing two sets of golf clubs and five suitcases in a 10-day stretch in travelling to the PGA Championship in St. Louis and then in making his way to Sweden. So the comedy continues, @British_Airways have managed to now lose 5 suitcases and 2 sets of golf clubs in 10 days! However, the back-up set he mentioned above on Twitter were also misplaced by those handling his BA flight and with British Airways notorious for such incidents as we here at www.golfbytourmiss.com can attest earlier this while I will not go into details over prior BA business dealings. Fortunately for the Dane both sets arrived in time for the current ninth-ranked player on the European Ryder Cup standings to take his place on the Hills GC course in Gothenburg and where a victory would lift him inside the top-8 qualifiers and with just two qualifying events remaining. “I’m trying not to think about it at all,’ said Olesen. Olesen is good friends with European captain Thomas Bjorn, but has already been warned by his fellow Dane not to expect any favours if it came down to needing a wild card. “Thomas and I are great friends,’ Olesen added. ‘I don’t think that makes it better for me, it might make it worse. I would love to get in that team, in the top eight, that’s my goal. If Olesen does need a wild card then Bjorn could certainly not be accused of favouritism given the 28-year-old’s Olesen’s recent form, which includes victory in the Italian Open, second place in the BMW International Open and 12th in the Open Championship. Olesen was also third in the WGC-Bridgestone Invitational and at 41st in the world is the top-ranked player in the field as Hills Golf Club hosts the Nordea Masters for the first time. “For me it’s an iconic event,” he added. “Growing up and being from Denmark it’s a tournament that I’ve always watched on TV, a lot of big players have won and contended here. It was also my first European Tour event, so it’s a special week for me and a tournament that I would love to do well in. “I’ve had a lot of good weeks the last three months but there’s a guy here [Martin Kaymer] who has won a couple of majors and I’m guessing 10 or 15 tournaments.